Gas stoves are low maintenance like electric stoves but have real flames unlike electric stoves. For every gas fire we design, we imagine the role that it plays in the lives of our customers. An ideal experience of warmth, atmosphere and comfort. New sustainable gas fires offer innovations in energy saving (energy label A) or the use of propane gas. The combination of a heat pump with a gas fire is also a sustainable and future-proof alternative. A heat pump provides the basic heat and using the gas fire for additional heating keeps you warm on cold winter days. Gazco have been producing the highest quality stoves, fires and fireplaces for over 30 years. 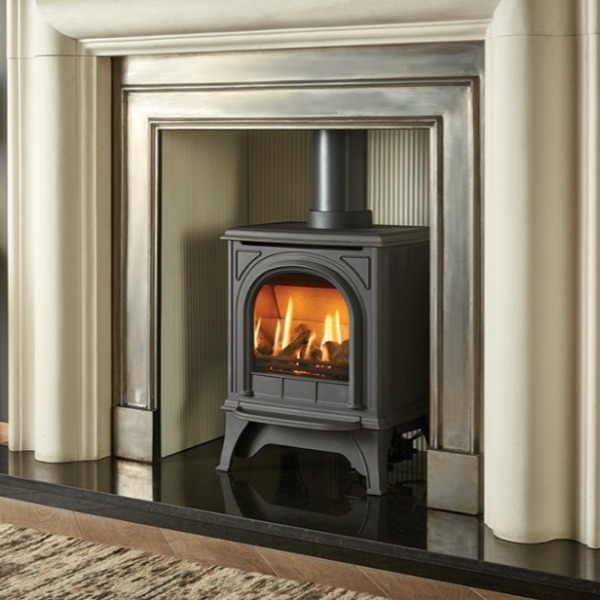 Initially founded as Stovax Ltd in 1981 and producing wood burning stoves, it had been set up some years later to begin producing gas-fired versions. Today it is one of Europe’s leading manufacturers and distributors of wood burning stoves, gas burning stoves, electric fires, Gazco gas fires, fireplaces and accessories, and export their products worldwide.